3D printing isn’t a “future” technology anymore. Every day, we interact with products created or prototyped with 3D printing, from electronic devices to cars and jewelry and everything in between. 3D printers are becoming a common sight in classrooms and labs around the world, and many educators have integrated this technology into their lesson plans. But if you’re not teaching 3D modeling or digital manufacturing, how is this technology applicable to your students? Here are a few ways that teachers at any level, in any discipline, can start using 3D printing today. You might not have access to a real fossil or rare insect species, and a field trip to the ancient ruins described in your textbook may be outside the budget, but you can 3D print a model of just about anything! Design your own models, or save time by printing existing files from libraries like Pinshape, Thingiverse, or the Smithsonian’s X 3D. This 3-minute video explores how the Smithsonian 3D scanned the Liang Bua cave in Indonesia for their X 3D library. You can print new models in a matter of hours, so it’s easy to respond directly to student curiosity, instead of being limited by what you ordered ahead of time. What if you could make a visual example for any one of your pre-existing lessons? What if you could make 40 of them that each student could take home and study? 3D models can be especially helpful for visually impaired students, as research from the Korea Institute of Science and Technology recently revealed. One of the greatest benefits of 3D printing technology is opening up the ability for disparate fields to work together. One example is the Shirley Technique, where a computer graphics artist used traditional digital sculpting tools to rebuild the lower face of a man who lost it in a battle with cancer. In the past, the process of developing a prosthesis would have been done by hand and taken days, if not weeks. Now, it can be accomplished in a fraction of the time using 3D printing. 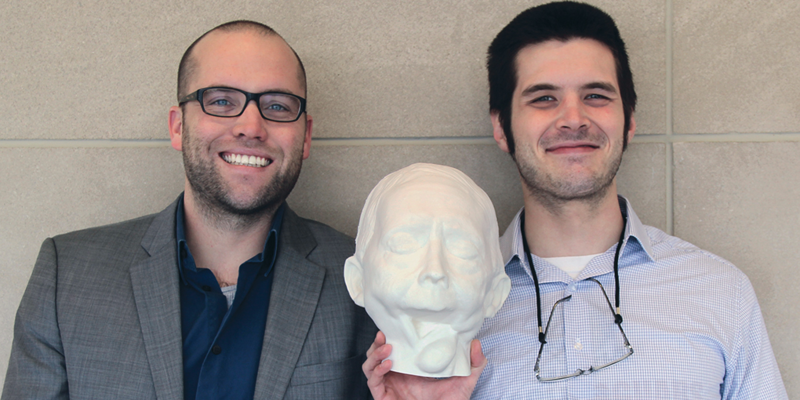 Educators can learn from how this project brought together two different disciplines, computer graphics and medical prosthodontics, that ordinarily never touch and combined them to create an entirely new process. In recent years, “shop class” and vocational tech pursuits have taken a backseat to academic challenges, but knowledge of digital design techniques and appreciation for building something with one’s hands are valuable skills. Using 3D printing, these skills can be taught more safely and at a fraction of the cost compared to running a complete shop. Somerville High School’s CTE (Career and Technical Education) program uses 3D printing and CNC machines as tools for project-based learning curriculum. At the same time, entrepreneurship and innovation programs like Autodesk Makeosity are bringing business, marketing, and engineering students together, generating product ideas that can be physically prototyped using 3D printing. Putting 3D printing technology in the hands of students doesn’t just empower them to succeed in the current job market. It also teaches them how to understand and build their own tools, and build towards a more sustainable future. In an learning environment where teachers and students alike are working with new tools, students learn that when things go wrong, you can go back and fix them together, instead of throwing away imperfect ideas. Students are exposed to design thinking early on, and the ability to iterate on work encourages creativity, innovation, and better end products. 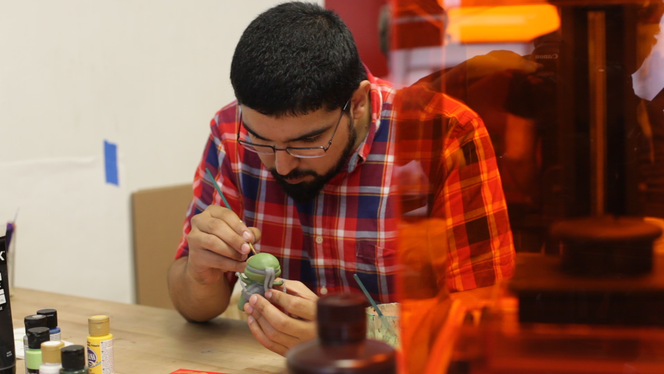 At Montclair State University, students in the Innovation Design and Digitally Mediated Making certificate program learn design thinking by working with outside companies to help them refine their product design with 3D modeling and 3D printing.